Mitsubishi has announced that it would move its Australian operations to a new national headquarters to be built at Adelaide Airport. In announcing the news to the to the Mitsubishi Motors Australia Limited (MMAL) workforce, the company’s CEOO, Trevor Mann, said the move follows an extensive national search to find a suitable head office location which would support the brand’s future business requirements. “MMAL is successful in Australia and we know that the workforce are a key factor in that success, which is why we are keeping the national headquarters in South Australia, and creating a new facility located within the Adelaide Airport precinct to ensure MMAL can more efficiently support its dealers and staff interstate,” said Mr Mann. MMAL CEO, John Signoriello said the new HQ will provide cutting-edge facilities and easier access for collaboration with the company’s teams across Australia. “MMAL is a national team that relies on collaboration with our regional staff and dealers to get our job done, therefore Adelaide Airport proved to be the logical place for our new headquarters,” Mr Signoriello stated. SA Premier Steven Marshall said the State Government is providing a grant of $2 million to assist MMAL in the construction and fit out of the new facility. “South Australia has been home to Mitsubishi for over 38 years and in that time has contributed significantly to our state and likewise, South Australia has been a major supporter of Mitsubishi,” said Premier Marshall. 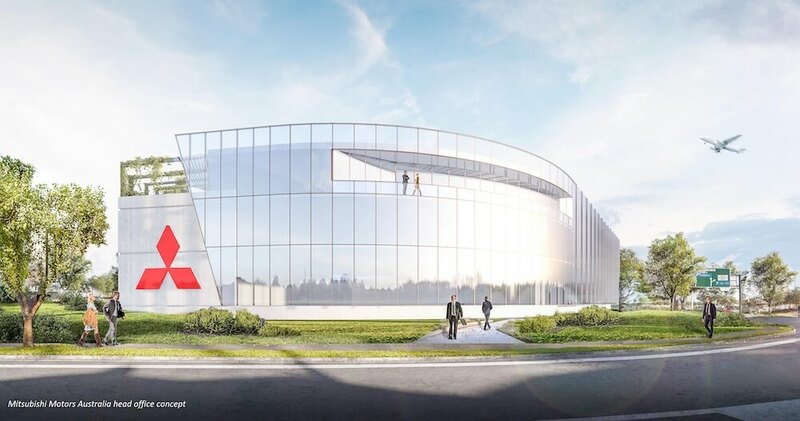 Construction of the new headquarters will commence in 2019, with Mitsubishi to move to the new premises in late 2020.